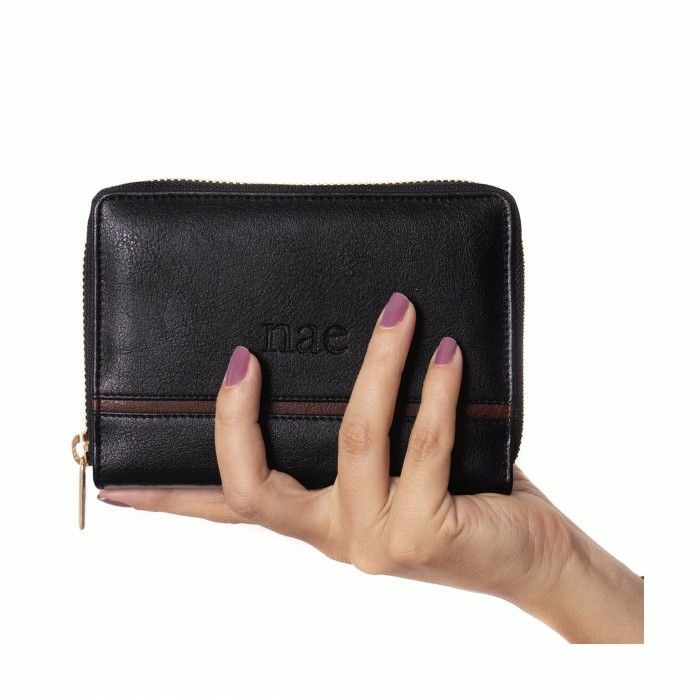 Women's vegan wallet made of ecological microfiber with a brown strip and an embossed logo stamp on the front. 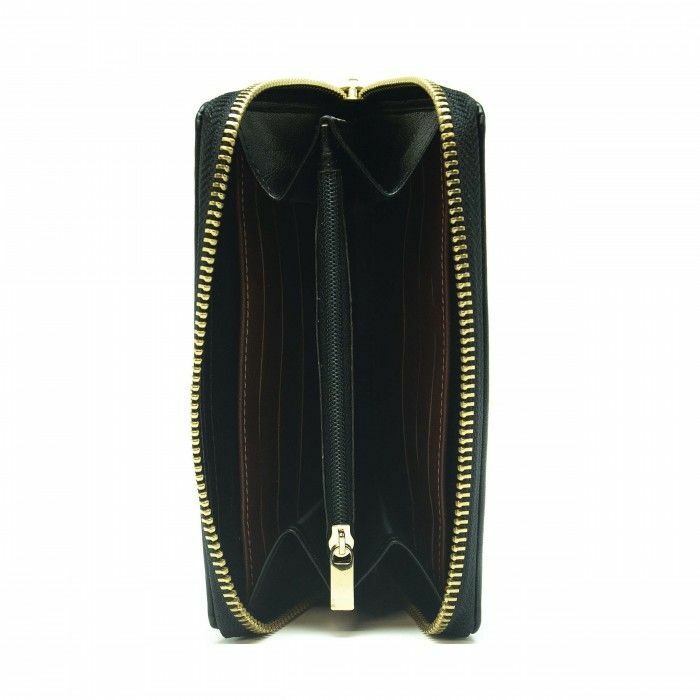 Its closure is made with a metallic gold zipper free of nickel and it is equipped with four compartments, six card slots and a zipped section for coins. 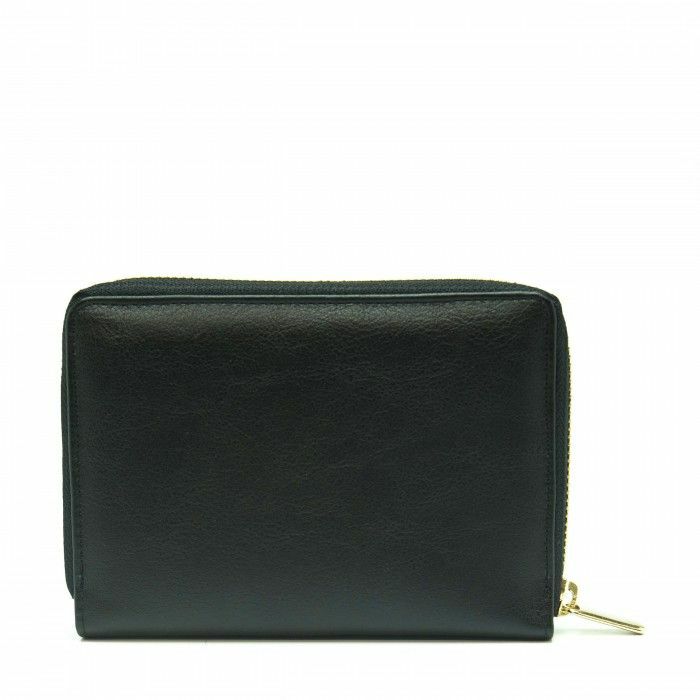 Hand-stitched by local artisans. 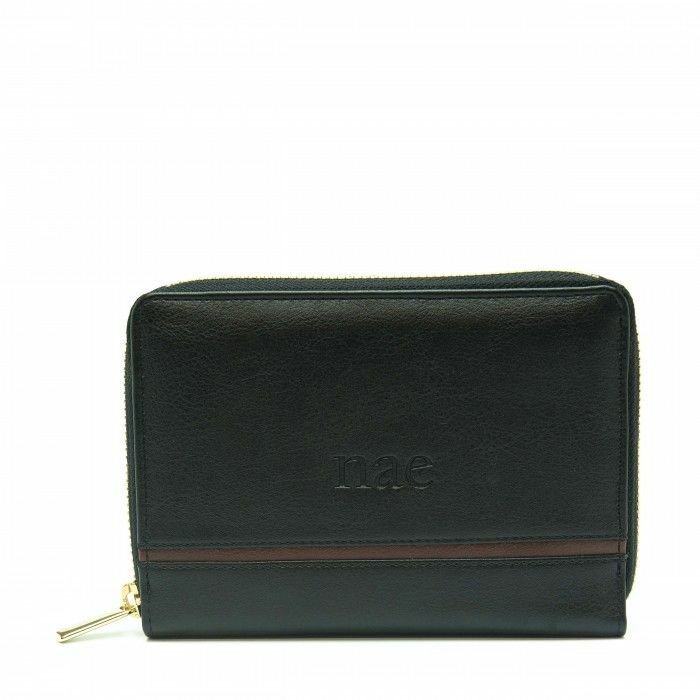 Color: black and brown. Sizing: One size. Measurements: 15.5 x 10 x 2 cm / 6.1 x 3.9 x 0.8 in. Outer material: Ecological microfiber OEKO-TEX certified. 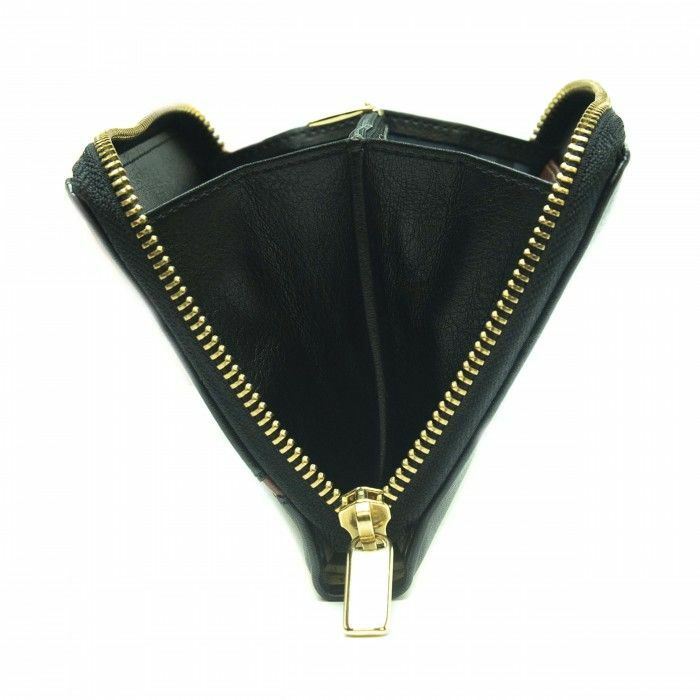 It's closed by a metallic gold zipper free of nickel. Inner material: Polyester and ecological microfiber OEKO-TEX certified.